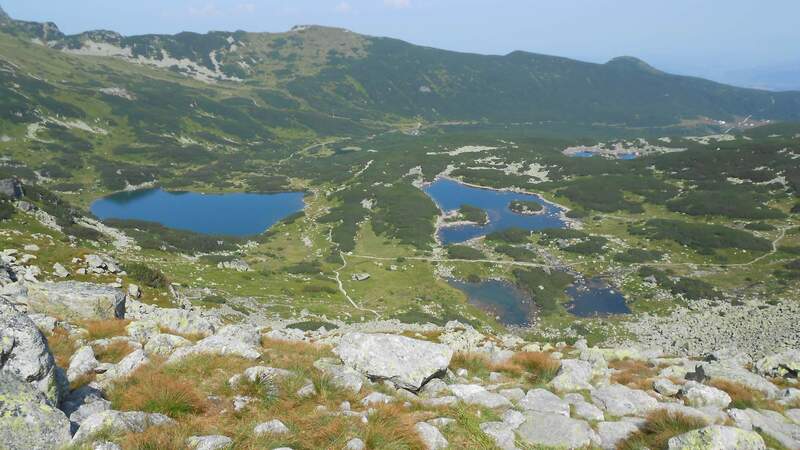 Most of Poland’s mountains are located on the border with either Czech Republic or Slovakia. When the last ice age was coming to an end, the receding iceberg created long valleys and steep peaks of imposing heights and in those ravaged valleys, several lakes of varying size can be found. Reaching most of the tallest peaks (if it’s even possible) often requires long walk through the valley followed by sharp ascension where full use of all four limbs might be needed. 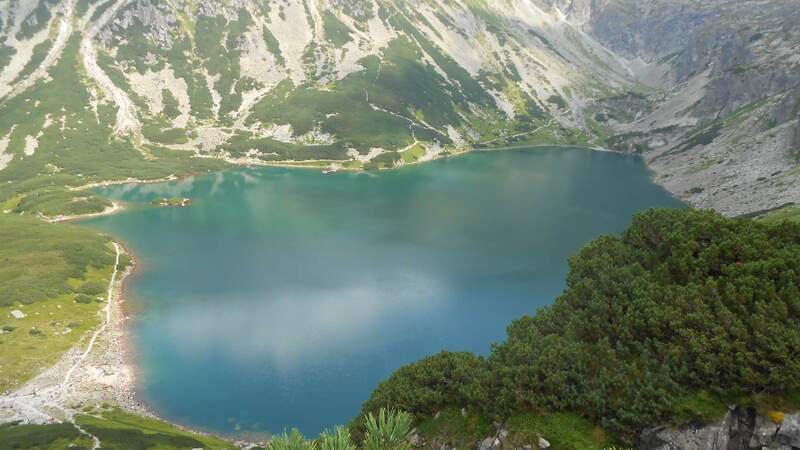 Look downwards from the highest point of Poland, ‘Rysy’ peak at 2499 meters. Closer lake is at 1583 meters and the further one at 1395 meters of elevation. The trail starts at 890 meters with 9 km of slow ascension through the valley that turns into very sharp ascent after bypassing the first lake and ends up in almost vertical climb with nothing but gaping chasm behind you.